I've decided that it is unacceptable for my kids to just lounge around on their Christmas vacation. So, I put them to work. This afternoon they helped me eat my way to the wine! 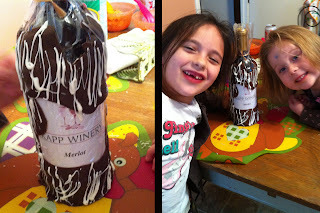 Whoever invented a chocolate-dipped wine bottle deserves a national holiday. Who's with me?!?!? !